Lyuboslav Penev, the nephew of Bulgaria's most successful football manager in history, has been officially appointed as national coach. Lyuboslav Penev, a former prolific striker who used to play for Spanish sides Valencia, Atletico Madrid, Compostela and Celta Vigo, has signed a two-year contract with the option to extend it for two more years. Mihail Madanski, who was previously in charge of Bulgaria's Under-21 internationals, took over Bulgaria national football team as an interim coach at the end of September when prominent German Lothar Matthaeus was fired over poor results and fierce opposition from the dressing room. "We know that our qualification group for the 2014 World Cup is extremely tough and we have no illusions. It would be more feasible for us to qualify for EURO 2016," Bulgarian Football Union head Borislav Mihaylov admitted upon appointing the new Bulgarian coach on Wednesday. 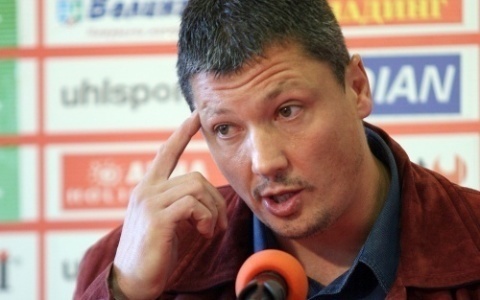 Penev, the former coach of Bulgarian champions Litex, is expected to bring some "fresh blood" into the squad, Mihaylov hinted, as cited by the 24 chasa daily. Bulgaria is in a Cup qualifying group that contains Italy, Denmark, Czech Republic, Armenia and Malta. Bulgaria's national team is in deep crisis, as it recently slumped to the historically low 75th place in the FIFA/Coca Cola World Ranking. Bulgaria's dismal performance in the Euro 2012 qualifiers is the main reason behind the massive collapse. The Balkan squad finished last in its qualifying group with just 5 points. The country's greatest football success was in 1994 when its team reached the World Cup semifinals under the management of Lyuboslav Penev's uncle, Dimitar Penev.